While cruising along the east coast of Florida, the crew encountered poor weather conditions with storm activity and turbulence. The aircraft went out of control and crashed in a swampy area near Vero Beach. 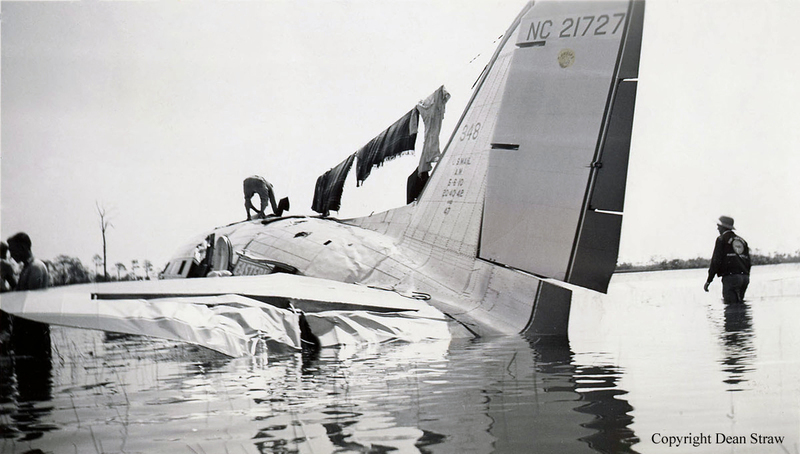 All sixteen occupants were rescued while the aircraft was wrecked. Upon the basis of the foregoing findings and of the entire record available, investigators find that the probable cause of the accident was loss of control of the airplane while being operated on instruments and while encountering severe turbulence in a line squall, the existence of which the carrier's ground personnel had failed to make known to the captain.